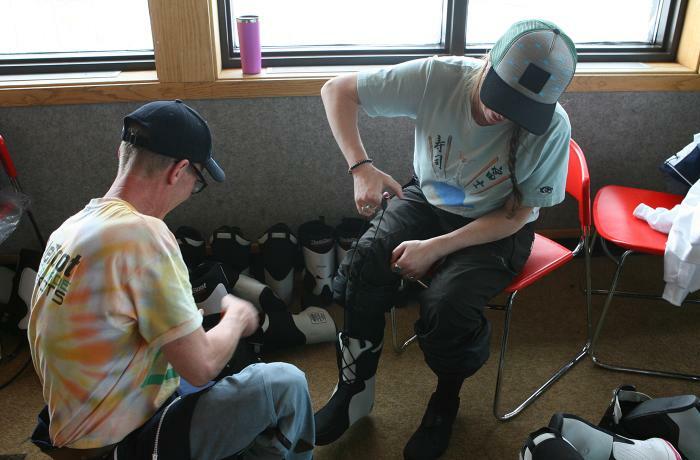 Boot test veteran and bootfitter, Poore's parents were married on skis and raised her on the slopes, so skiing is in her blood. She came to the industry by way of a ski instruction background and is the most recent addition to our instructor roster at Masterfit University, and is one of only two female instructors. She has spent the last 10 seasons as a bootfitter and sales person at Gravity Sports, Mt Bachelor, Oregon, and 1 season with the Boot Solutions team in Niseko, Japan. This winter you will find her as part of the new team at Alpine Shop in Schweitzer, Idaho.